Clarke Auction Gallery was started in Westchester NY in 1998. It is owned and operated by Ronan Clarke, an Irishman who started his career in Ireland and came to New York in 1988 via London. 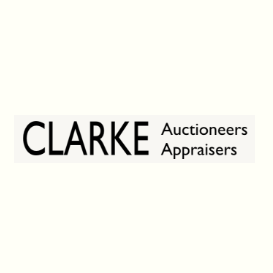 Since his arrival Clarke has moved from being a picker to owning 2 retail Antique Stores and All Boro Estate Liquidators (As featured in NY Times, NewYorker, Cranes and Fox 5 News) to opening his own Clarke Auction Gallery which fast became Westchesters Premier Auction. Clarke Auction Gallery runs monthly to a packed house and is situated in the center of Larchmont NY, just five minutes from the Metro North Station (30 mins from N.Y.C, 20 mins from Connecticut) and also on I-95 @ exit 17.